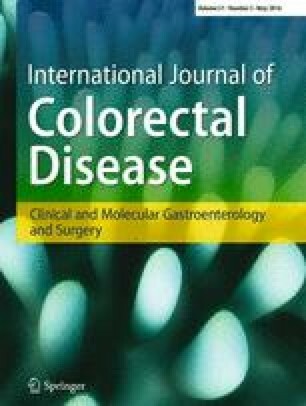 The purpose of the present study was to investigate on the acceptance and frequency of laparoscopic surgery for the management of acute and chronic bowel obstruction in a general patient population in German hospitals. To receive an authoritative opinion on laparoscopic treatment of bowel obstruction in Germany, a cross-sectional online study was conducted. We designed an online-based survey, supported by the German College of Surgeons (Berufsverband der Deutschen Chirurgen, BDC) to get multi-institutional-based data from various level providers of patient care. Between January and February 2014, we received completed questionnaires from 235 individuals (16.7 %). The participating surgeons were a representative sample of German hospitals with regard to hospital size, level of center size, and localization. A total of 74.9 % (n = 176) of all responders stated to use laparoscopy as the initial step of exploration in expected bowel obstruction. This procedure was highly statistically associated with the frequency of overall laparoscopic interventions and laparoscopic experience. The overall conversion rate was reported to be 29.4 %. This survey, investigating on the use of laparoscopic exploration or interventions in bowel obstruction, was able to show that by now, a majority of the responding surgeons accept laparoscopy as an initial step for exploration of the abdomen in the case of bowel obstruction. Laparoscopy was considered to be at least comparable to open surgery in an emergency setting. Furthermore, data analysis demonstrated generally accepted advantages and disadvantages of the laparoscopic approach. Indications for or against laparoscopy are made after careful consideration in each individual case. C. Benecke and E. Schlöricke are equally contributed to the manuscript and share senior authorship. MZ, TK, HPB, and ES contributed to the study conception and design. MZ, HPB, CB, and ES contributed to the acquisition of data. MZ, MH, and TL contributed to the analysis and interpretation of data. MZ, CB, and TK contributed to the drafting of manuscript. MH, TK, ES, and CB contributed to the critical revision of manuscript. Drs. M. Zimmermann, M. Hoffmann, T. Laubert, H.-P. Bruch, T. Keck, C. Benecke, and E. Schloericke have no conflicts of interest or financial ties to disclosure. Statistisches Bundesamt. Grunddaten der Krankenhäuser 2013 - Fachserie 12 Reihe 6.1.1. Available at: https://www.destatis.de/DE/Publikationen/Thematisch/Gesundheit/Krankenhaeuser/GrunddatenKrankenhaeuser2120611137004.pdf Accessed June 25, 2015.